Nicole Richie joined fellow fashionistas Jessica Alba and Jaime King for Who What Wear’s 10th Year Anniversary. The stylish celebrity/designer opted to wear a ruffled maxi dress with a tiered skirt and plunging neckline. Nicole showcased her styling skills with a chunky layering of necklaces that so easily grabbed our attention. The best way to play up a flirty dress with a revealing neckline is by decorating your cleavage area with a scene-stealing necklace. Nicole amped up her frilly frock with bold jewelry from David Webb, and also pieces from her own line House of Harlow 1960. The gorgeous mix of multi-colored gems and chunky gold and black-toned jewelry provide an exotic but glamorous vibe to Richie’s dress. The most stunning piece of her layered necklace is the Totem Pendant from David Webb Jewelry, which is priced at $71,000! 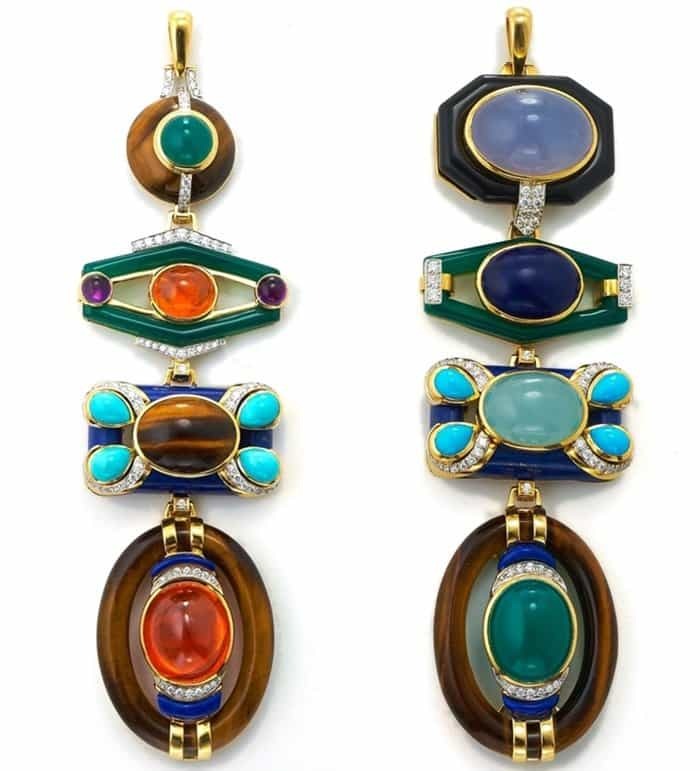 The four layered totem features precious stones like Turquoise, Garnet and Lapiz Lazuli. Each section is also accented with brilliant cut diamonds set in 18K gold and platinum. The pendant comes in different mixtures of precious stones, all equally stunning.